Well, it's that time of year again! When the inter-house matches are carried out, to see where our Bryn Hedydd sporting heroes are! This year, we have held two events so far - Netball followed by Football. Both occasions were fantastic opportunities for Years 5 and 6 in particular to show what fantastic skills are present in Bryn Hedydd. Yes, of course showcasing the sporting abilities but what teachers and staff alike love to see is those children who are able to show amazing sportsmanship to both their team and others playing. This makes us proud as a School! Well done to Asaph, who won the Inter-house Netball tournament. 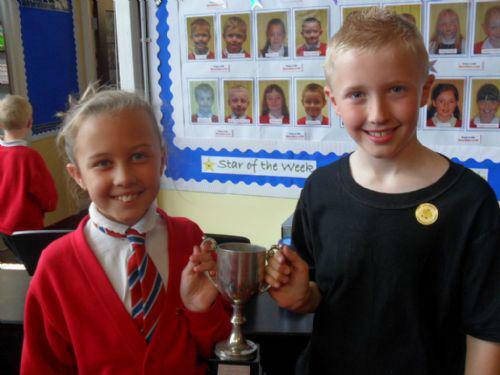 Our Asaph House Captains received the trophy on behalf of their house. 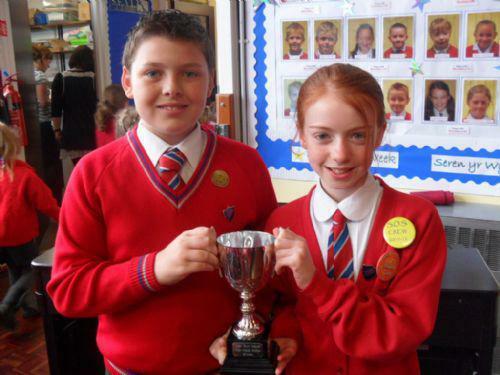 Also, a big congrautlations to Melyd House who took the Inter-house Football Champions title.